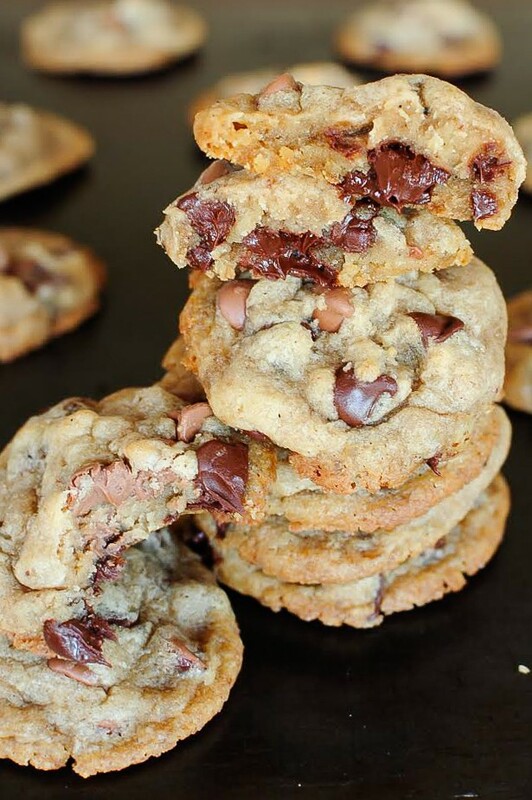 Hard Boiled Egg Chocolate Chip Cookies sound crazy, but honestly these are one of the BEST cookies I have ever eaten! These are an incredibly delicious way to use up all those extra Easter Eggs! I know you are probably thinking I have completely lost my mind. Hard boiled eggs is cookies?? YES! People, I know it sounds crazy, but everyone who tasted these thought they were the best cookies ever! No one would ever know their secret ingredient! You seriously cannot taste any egg in these cookies. I promise. They are chewy and soft with crisp outer edges. 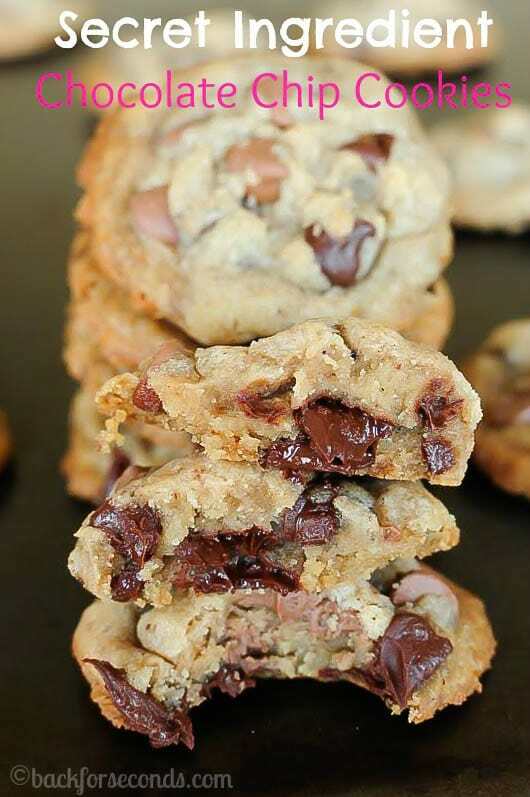 They have a deep, rich flavor from the brown butter and brown sugar, and they are loaded with 2 kinds of chocolate chips! They have a touch of cinnamon too, which adds such a nice flavor without being overly cinnamony. Those are totally beautiful and I never would have thought that they have hard boiled eggs in them! 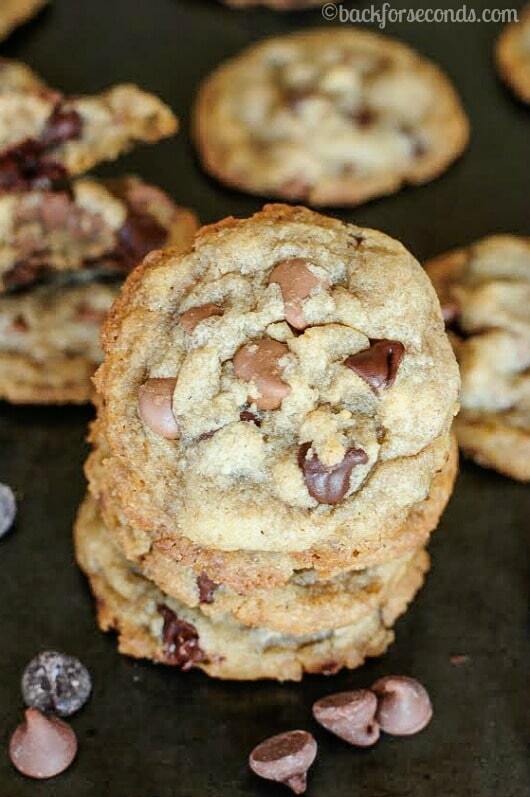 I have been hearing about these cookies but have never made them. You make them look amazing…I need these asap! Is it mere coincidence that this was posted on April Fool’s Day? Hmmmmm . . . . . .
Hi! About 40 cookies. Enjoy!